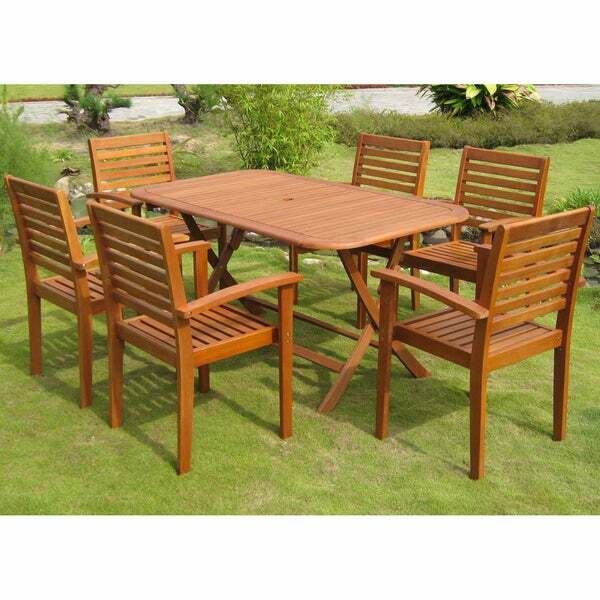 Add a touch of style and comfort to your outdoor furnishings with this dining set. This dining set is built with durable, long-lasting yellow balau hardwood and is finished in a beautiful dark honey stain that is sure to impress your guests. "Does this table fold for storage?" The table does not fold.